The pool of Suzuki cars in Pakistan is quite vast. It includes motorcycles, heavy bikes, the four-wheeler automobiles, and the outboards (both 2-stroke and 4-stroke variants). Among the four-wheelers, you come across Mehran, Cultus, Ciaz, Jimny, Ravi Pickup, Bolan, Vitara, Cargo Van, Mega Carry, APV and the prestigious Swift. 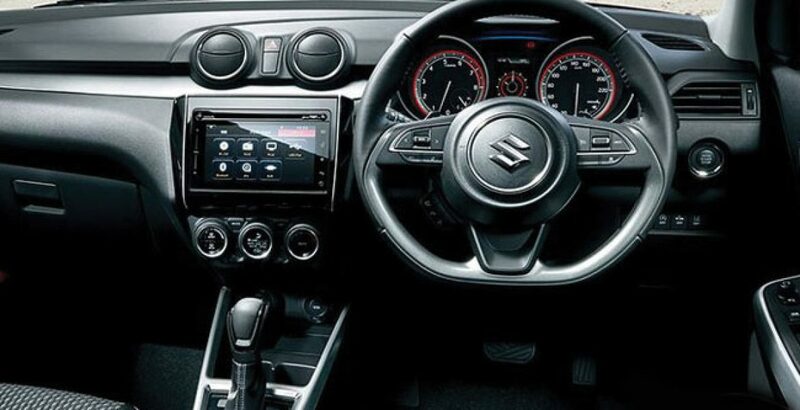 Among the Suzuki cars, the Vitara is the most expensive with the price tag reading over 35 lakh rupees and the Mehran lies on the lower extreme, costing just around 8 lakhs. On the other hand, the Swift lies somewhere in the middle of the price line, a little above the Cultus. 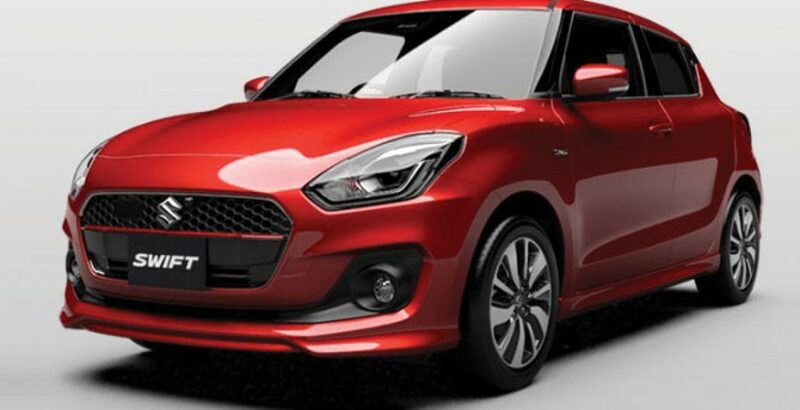 The Suzuki Swift 2019 price in Pakistan corresponds to and justified by its specs. Here it is pertinent to note that the Cultus once used to be a very affordable family car. The recent revamping of style and performance has brought a significant raise in the Suzuki Cultus price. Some are hailing it as a positive move while other are critical of the automaker for making a budget-friendly car that much expensive. The latter are exploring a better alternative especially among the new Chinese and European entrants. Let’s have a critical look at how Swift is different or akin to its siblings. As you look at the performance specs and design of the Swift, two other car brands from the same auto makers might popup in your mind – the Jimny and the New Cultus. Well, the Swift offers a creative blend of the power of Jimny and the style of Cultus. In piston displacement, both Swift and Jimny measure exactly the same, i.e. 1328cc. The transmission is also the same – the 5-speed manual one. The difference between the two lies primarily in the shape of the body as well as the accommodation capacity. While Swift looks like a standard family car, the Jimny bears close resemblance to Mitsubishi’s Pajero as both are meant for the off-road, mountainous rides. On the other hand, the Swift appears to be a near replica of its junior sibling, Cultus, with a bit advanced tech-enrichment. The new Swift beats Jimny on two important grounds – the seating capacity and the price. 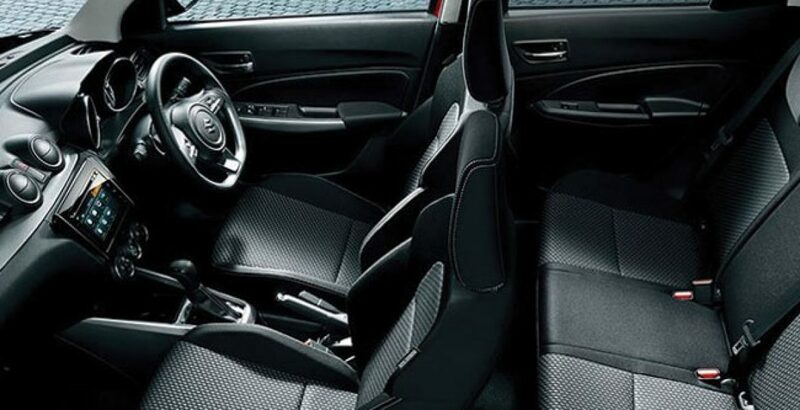 While Jimny can accommodate only four persons, the Swift is meant for five persons. 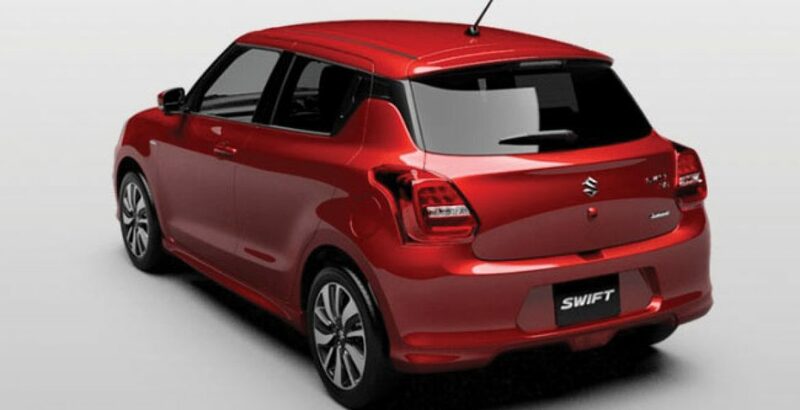 Similarly, the Suzuki Swift 2019 price in Pakistan is around half as much as that of its 4WD counterpart from the same automaker. 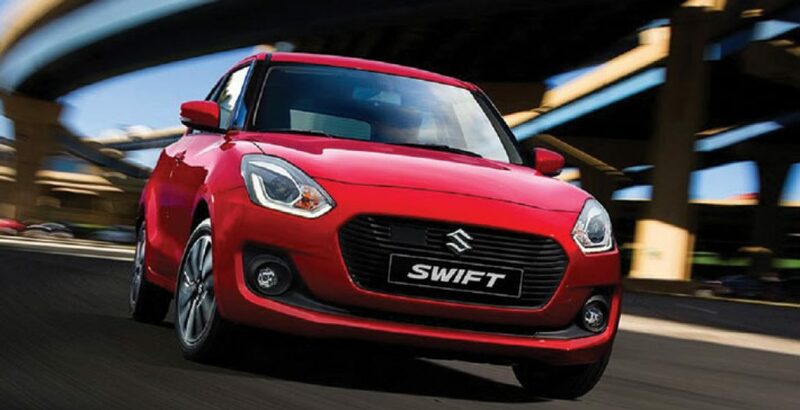 Exuding a dynamic and eye-catching sense of style, the Suzuki Swift stands apart among the compact car segment in the country. It gives more of everything without asking for a compromise on performance or style. You can call it a young and dynamic car for the fun-loving people. Simply put, it makes you love the drive. Below is a brief description of the Swift key specs. Car Navigation with Rearview Camera: On the dashboard of the vehicle, you will come across an integrated car navigation system. A rearview camera is also supported. Power Steering / Windows: With power steering installed in the car, the driver gets rid of all the manual labor. In addition to providing extra convenience, it enables the driver maintain focus on the control and overall stability of the drive. Other driving amenities, pre-installed in the car, include power windows, power side mirrors, and the central locking system. ABS + EBD: The Anti-Lock Braking System (ABS) along with Electronic Brakeforce Distribution (EBD) ensures the safety of the passengers and the vehicle in case of a crash or collision. The ABS technology works in an emergency braking situation to keep tyres from locking up. It also renders stability to the evasive manoeuvres. On the other hand, the primary job of the EBD system is to help maintain control over the vehicle by sending the optimum amount of force to the front and rear wheels. Anti-Theft Technology: The Swift comes installed with the immobilizer. Acting as an anti-theft device, it prevents the car from taking ignition in case an unauthorized key is inserted into the ignition switch. Automatic Transmission: Though not the best one, the four-speed ladder type transmission system of the Swift is powerful enough to give a desirably smooth, stable and economical driving experience. ‘Economical’ in the sense that when an appropriate gear is applied according to the need of the drive and terrain, the fuel consumption gets reduced. The Swift is available in two major variants, the DLX with Navigation and the Swift Automatic with Navigation. Being a bit less tech-equipped than its Automatic counterpart, the DLX variant has been priced at around 14.7 lakh rupees. Meanwhile, the Suzuki Swift 2019 price in Pakistan for the upper-end variant is a little over 16 lakh rupees.